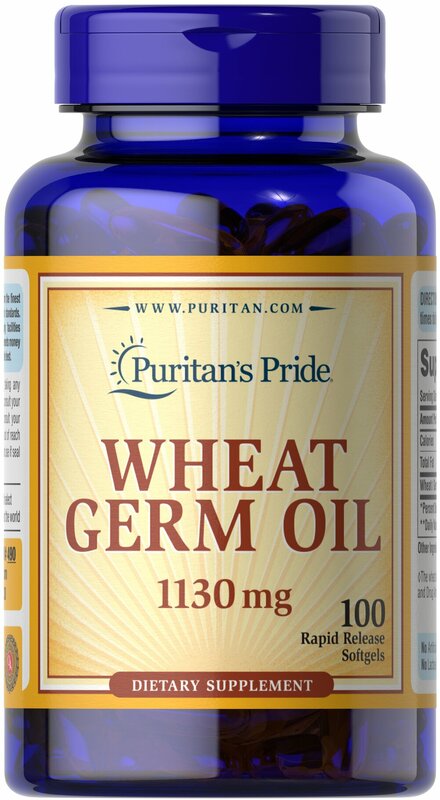 Wheat Germ Oil is drawn from the heart of the finest wheat embryo by a refined cold pressing process. The germ of wheat is a rich source of vitamin E, B Complex, plus protein factors. Each softgel contains (1130 mg) Wheat Germ Oil. No Artificial Color, Flavor or Sweetener, No Preservatives, No Sugar, No Starch, No Milk, No Lactose, No Soy, No Gluten, No Yeast, No Fish, Sodium Free.